BAROT valley : The Beauty of Himalayas KASOL - The HotSpot of Himalayas! A very alluring valley located in the mid Himalayan region which does not have good infrastructural facilities but the nature is here at 7 star level. A haulage trolley of the British times connects Barot to Jogindernagar. Barot is situated in a small V-Shaped valley formed by the Uhl river. Surrounded on both sides by parts of the Dhauladhar range of the Himalayas, Barot is located at an elevation of 1819 metres above the mean sea level. 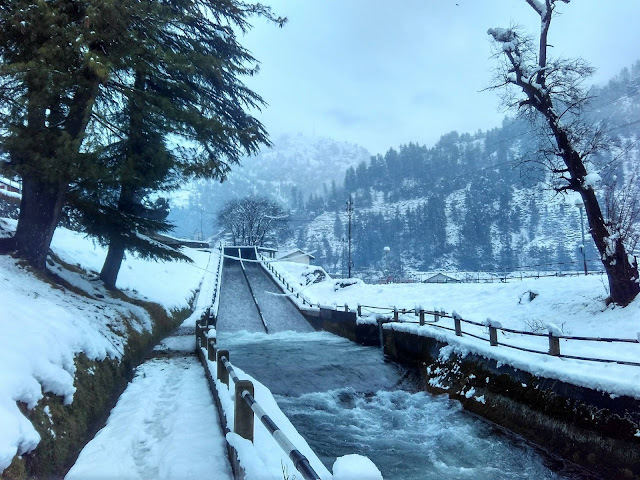 Most of the village is settled along the banks of Uhl on both sides in Joginder Nagar Valley.Barot is a frequent backpacker and day tourist destination. Many trekking trails pass through Barot, including trails to Bada Bhangal, Manali and Kullu. Most of the day tourists as attracted by the serene surroundings and cheap availability of accommodation.